The perfect side dish to wow your guests, trick the kids into eating veggies, or just for something a little different! So easy to throw together, and a lovely warm addition to a meal instead of a salad. Plus, if you are looking for a gluten free alternative to pasta, this is a great one! 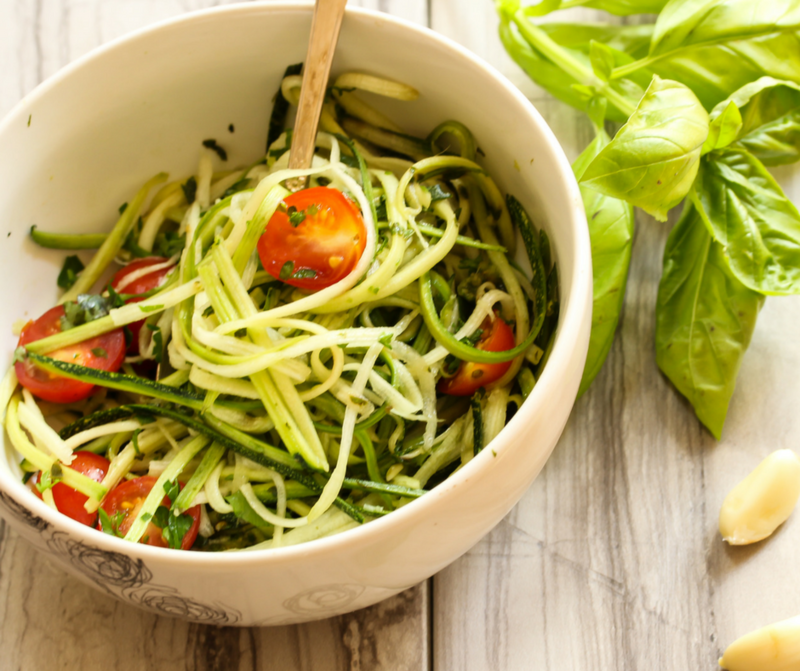 1: Using a mandolin or spiral slicer, shred courgette into thin spaghetti like slices, set aside. 2: Chop garlic cloves finely, deseed and chop chilli, and halve cherry tomatoes. 3: Heat oil in a frypan, and cook garlic and chilli for 1 minute. Add toamtoes and cook for 2 mins until soft. Add lemon juice and zest, and chicken stock, and cook for 2 mins. Turn off heat and add basil. Season to taste. 4: Toss the courgette pasta through the mixture, and divide evenly between serving plates. If you love the idea of eating healthy, but just don’t quite know what you are doing… and are looking to get healthy, lose weight, and improve your fitness, you should look into our proven program. See for yourself why our Devon Ontrack Weight Loss & Fitness Retreat is so popular! Plus for regular free weight loss recipes, diet and exercise tips, and inspiration, follow us on social media!